The Cancer Care Reiki Clinic was the creation of Reiki Master Paula Terrero and Level II practitioner Jennifer McCormick, MPH. In June, 2008, we started it with a group of volunteers as a way to serve cancer patients in the Albuquerque area. All of the volunteers have been Reiki practitioners who had been touched by cancer in some significant way. As a breast cancer survivor who used Reiki during her conventional treatment, Jennifer felt great relief from distress, a sense of normalcy and phenomenal social support as she pursued weekly treatments during the chemo, surgery and radiation, and afterwards. She and Paula used their abilities as community organizers and Jennifer’s public health experience to develop this survivorship program. Soon, the clinic became a means to standardize the delivery of Reiki to cancer patients in Albuquerque. It met the need for programs in Albuquerque that treat families going through the transition from the acute phase to the chronic phase of the illness experience. Soon we had partnered with the Breast Cancer Resource Center, Dr. Fontaine at NMCC, PLTC and our network of Reiki practitioners to create an informal referral system. The clinic has always been free of charge to quell the financial burden of cancer care for the families we serve, although patients have been free to give donations for services. Space was donated originally by Betty’s Bath and Day Spa, later by the Breast Cancer Resource Center and is currently donated by Dr. Richard Lueker and his staff at New Heart Center for Wellness, Fitness and Cardiac Rehabilitation. It has grown from a small, monthly clinic with 2 volunteers to twice a month with a volunteer base of 20+ practitioners donating 1-hour Reiki treatments to over 40 New Mexican families. We have recently formed a 501c3 organization that has been approved in the State of New Mexico, effective July 3, 2014. We have also developed relationships with several other Integrative medicine programs that use Reiki as an intervention. The St. Charles Cancer Center in Bend, OR, the Patrick Dempsey Center for Cancer Hope & Healing at the Central Maine Medical Center in Lewiston, ME, The Hartford Hospital in Hartford, CT and MD Anderson Integrative Medicine Program Dept. of General Oncology have all offered to support our efforts by sharing information, guidance, research and tools to support us through this process. Classes are being organized by our Collective on a regular basis. If you would like to participate in one of our upcoming classes, or would like to organize a class for your group or organization, please contact us at (832) 922-1343. 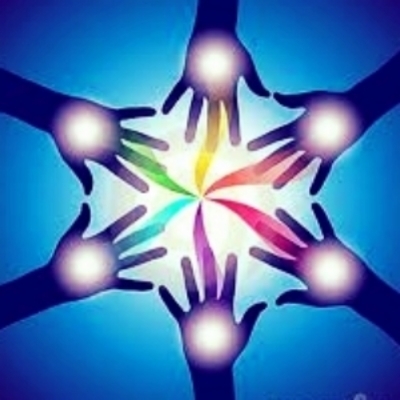 Reiki Master, Paula Terrero and the Sacred Spring Reiki Collective will offer the healing energy of Level II Reiki Training for those students who have completed a Level I Reiki training, and who feel prepared to deepen their study and practice of Reiki. The class will be conducted in an atmosphere of relaxation, study and contemplation at our offices, 3121 Candelaria Rd NE, Albuquerque, NM 87107. More details to follow. Please email us with questions or if you would like more information: sacredspringreiki@gmail.com.